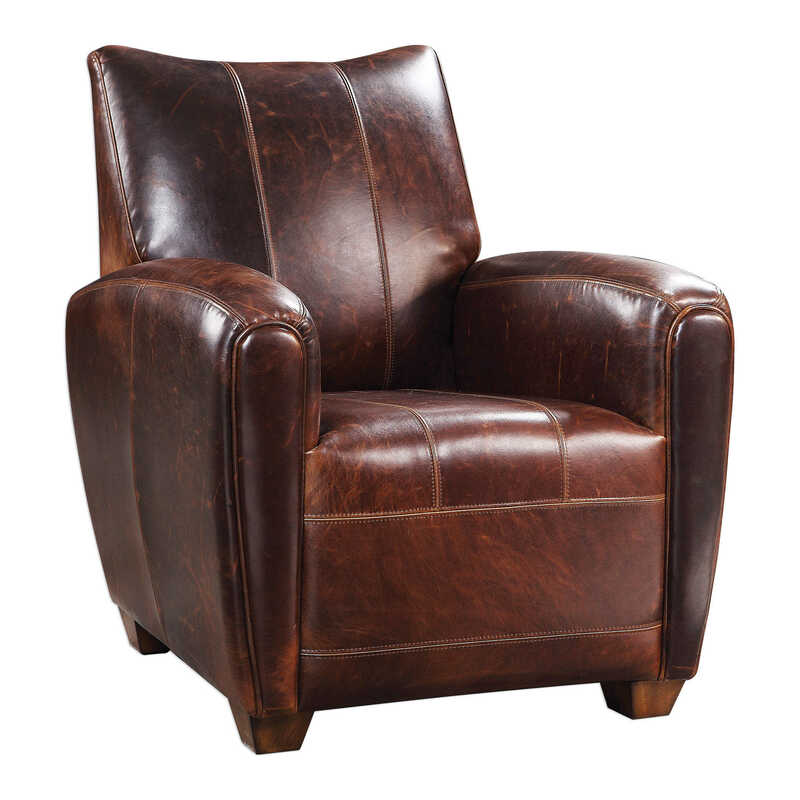 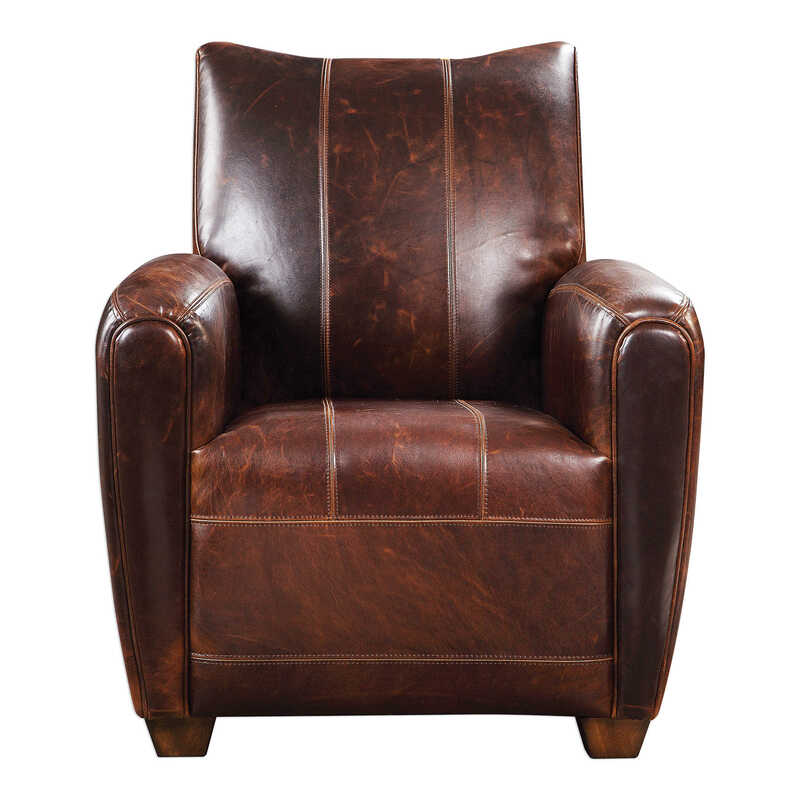 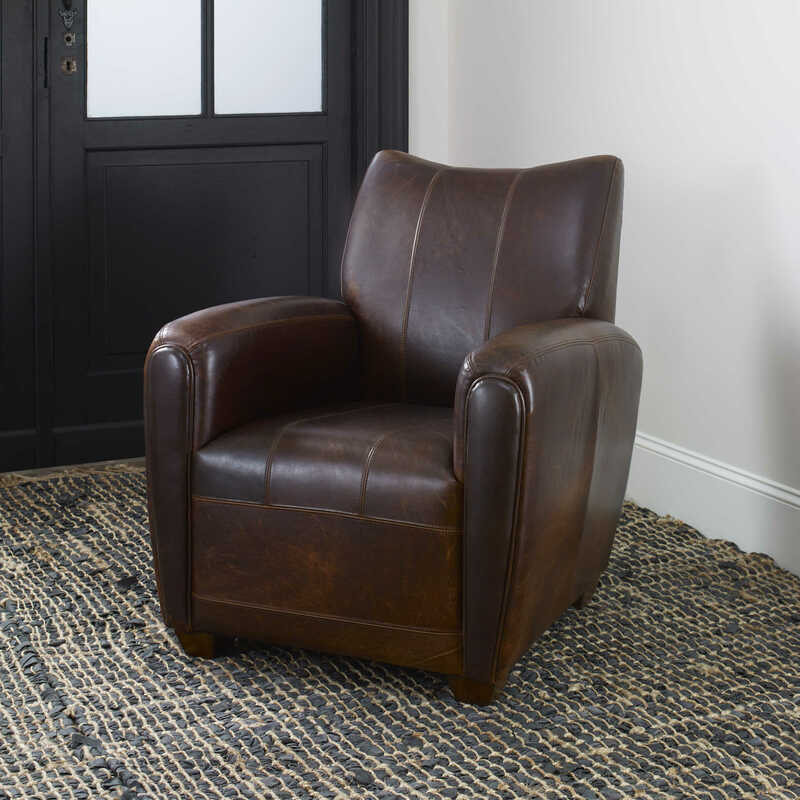 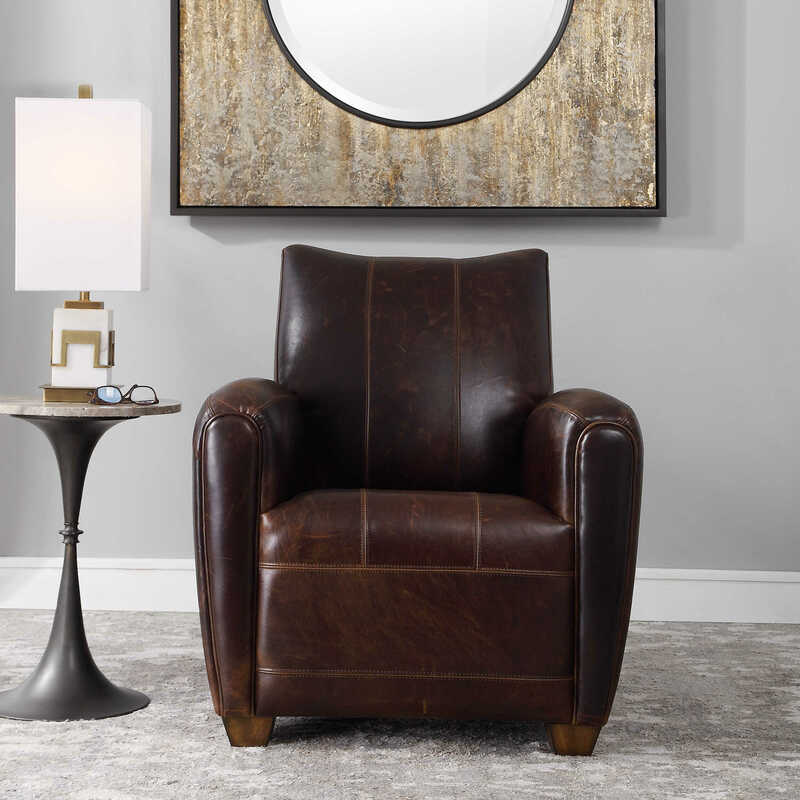 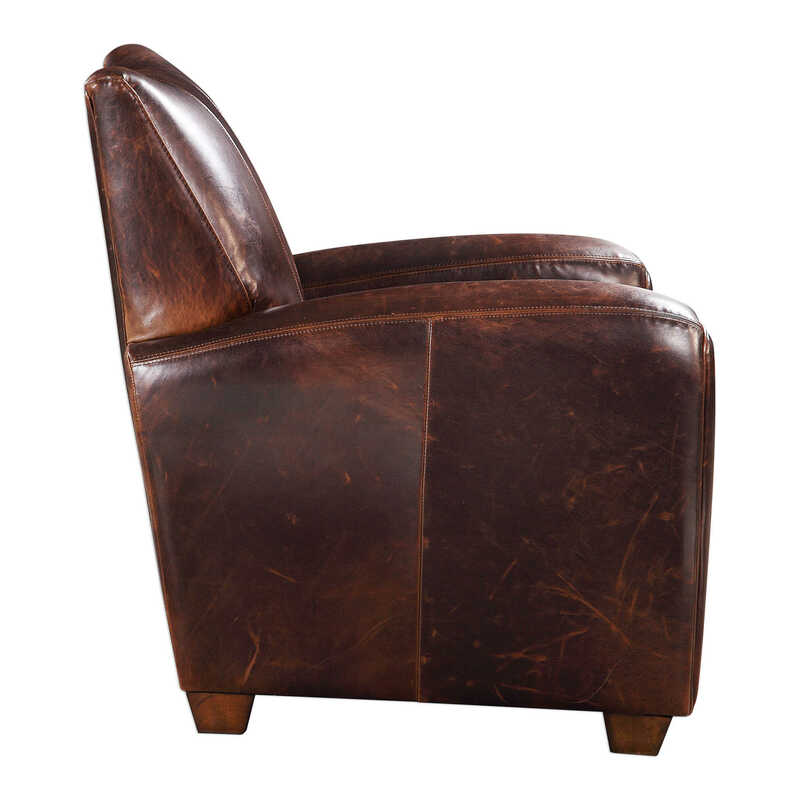 This channel stitched French style cigar chair features a rich top grain pull up leather in cinnamon brown. 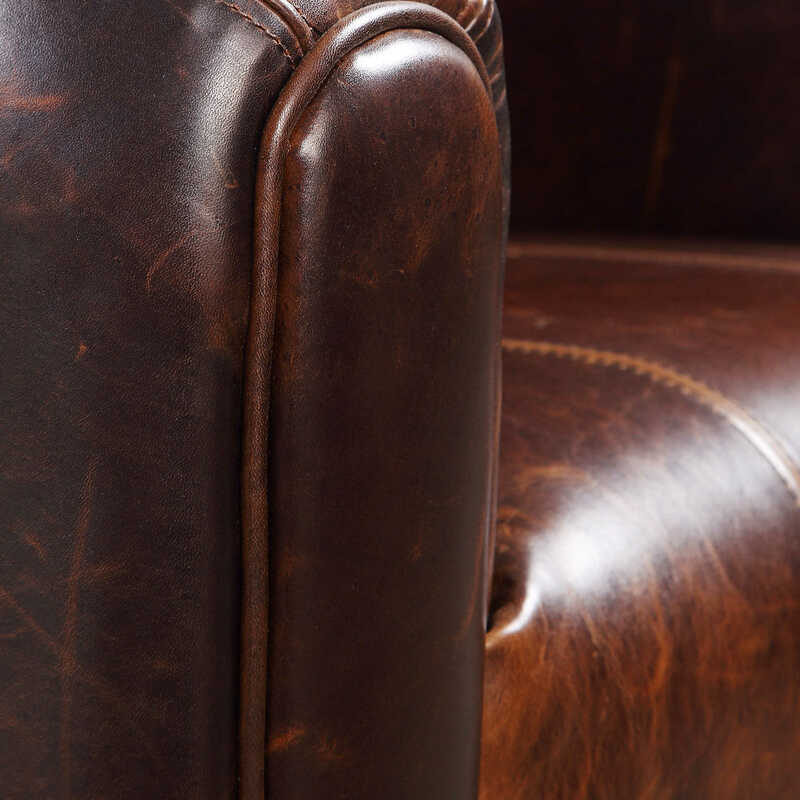 Because leather is a natural product, both texture and color will vary slightly from hide to hide and within the same hide. 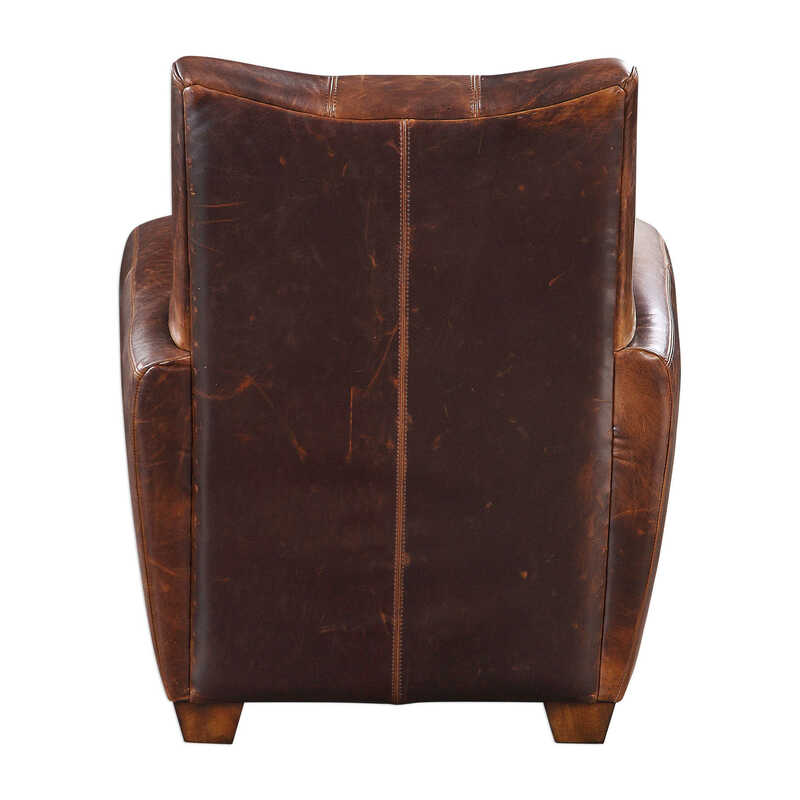 Seat height is 19".